One of Bendre’s poems from the early period, with a wonderfully original conceit. The peacock and the koel serve as metaphors. The language of the original is folksy and abounds in end-rhymes, assonance and onomatopoeia (mina mina mina minchatitta: ಮಿನ ಮಿನ ಮಿನ ಮಿಂಚತಿತ್ತ). Though the onomatopoeia is untranslatable, I have looked to include a measure of assonance and end-rhyme in the translation. The unusual sentence-structure is a consequence of this attempt. 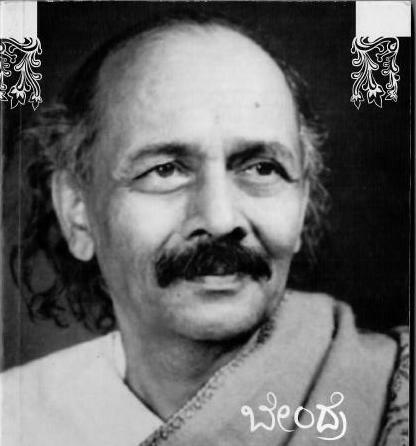 Also, here is a recording of my reciting (singing) the original Kannada poem. The tune, if one is discernible, is Mysore Ananthaswamy’s. Did it look cloudward the while. Did the land and waters gleam the while. Did play coquette at every chance. Did gaze on you with look forlorn. Did search for something with its might. Did wilt when no response did show.